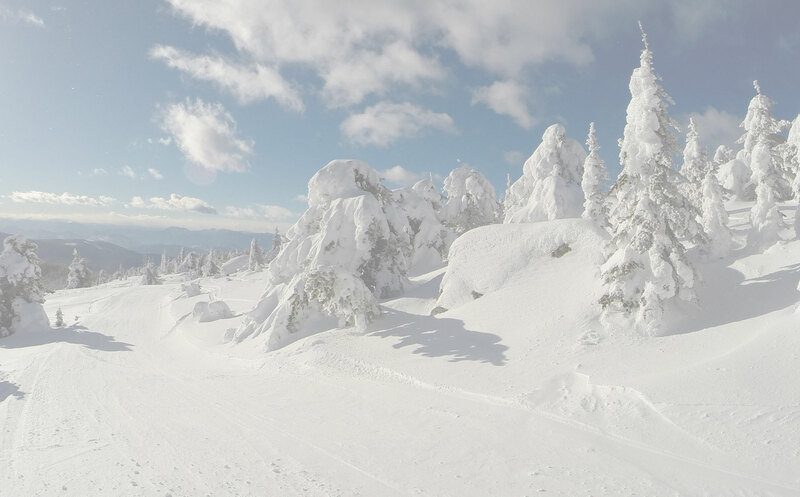 Baldy Mountain Resort in Canada, a hidden gem among mountains, is awaiting your discovery. Powder rests seasonally upon Baldy Resort, which ranks in the top ten of highest elevation ski resorts in Canada. Ski or snowboard, take a ride through the perfectly spaced glades or on our groomed runs, a walk through the woods on snowshoes, ski our cross-country trails, or toboggan with the kids. After it is all done, enjoy some great food and entertainment in the Baldy Resort Bar. As one of the best mountains for family-friendly skiing and snowboarding in Okanagan, BC, there is something for every fan of mountain culture at Baldy Mountain Resort. 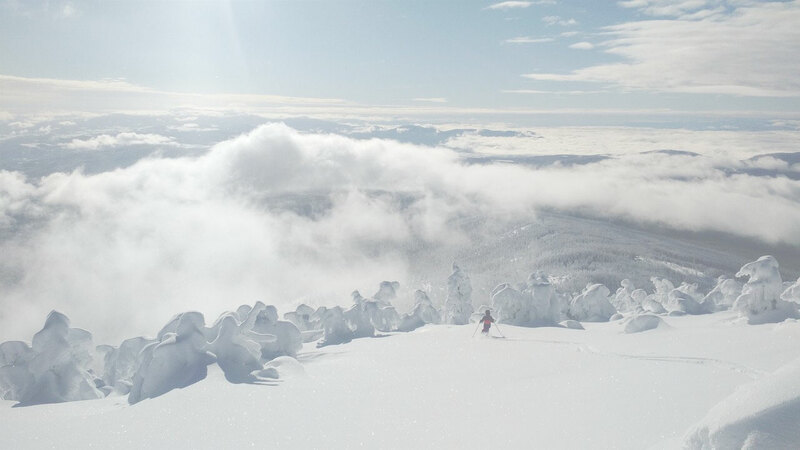 Baldy Mountain Resort season passes and daily lift tickets is the most affordable skiing and snowboarding in the Okanagan in BC Canada, making it a great family adventure destination. Aside from skiing and snowboarding, there is a variety of other seasonal activities available for everyone in the family, even the non-skier. At Baldy Mountain Resort we are pleased to host a variety of mountain and Okanagan events throughout the year. Located in beautiful surroundings, it’s hard to beat Baldy as a choice for your next hosted social occasion. Join us year-round to enjoy the mountain and surrounding areas at one of our numerous events; or, host your own event with us. Give the gift of Baldy this winter by purchasing one of our gift cards and we will mail direct to you. Simply select the card, or cards, you want and complete your information. My wife & I have been together 40 years and are lifetime skiers at heart. We met in the ski business in the seventies and knew then we wanted to retire to a ski area when the time came. We found Mt. Baldy while driving over the Rock Creek Bridge on a sunny Sunday afternoon, coming home from our B.C. Skifari. In 1995 and we fell in love with "Leave it to Beaver" great family skiing. The rest is history; we own a little A-Frame in the Mt. Baldy Village and ski almost every winter day. Keeping it real! I have ridden hills all over BC, but Baldy is our ski home. Baldy is a hill for every ski level, I speak from experience. It is also where I increased my skills to be able to work as Pro Ski Patrol. I started riding Baldy as a single guy, and it is where I met my wife. We ski Baldy as a family of four and no matter what stage of life I am in Baldy is always the perfect place! Started coming to Mount Baldy around the spring break of 1992. My family would come up from the Fraser Valley for Spring Break, first staying at my aunt and uncle's cabin with them then moving on to renting our own cabin for the week. These trips started to include coming up over the Christmas holidays along with Spring Break. Now 26-27 years later, I am skiing Baldy Mountain Resort every weekend with my wife and daughter. We’ve brought back our famous Big POW Thursdays! Being closed Tuesday and Wednesday (except on holidays) allows for 3 nights and two days of accumulation. Check out the weather report to not miss out! Looking for up-to-the-minute snow and weather reports for Baldy Mt? Look no further. Check out our Baldy Mt snow report, where you’ll find webcams, mountain temperatures, snowfall accumulation, forecasts and everything else you’ll need to know to plan your day on the slopes. Discover the incredible sports of skiing and snowboarding at Baldy Mountain Resort! Perhaps you are a novice or have little on snow experience, no problem! Our snow school coaches are here to help with fun and enthusiastic guided instruction throughout your learning process. The Baldy Mountain Resort snow school instructors and coaches are selected based on their certification and experience. Baldy Mountain Resort has activities and terrain for the entire family. Whether it’s skiing and snowboarding or a round of disc golf, we’ve got you covered! Check out our trail map to see all the options. Baldy Mountain Resort has invested in a performance-level rental fleet that is professionally tuned and maintained. Our rental equipment includes skis, snowboards, kids gear, and snowshoes! Visit our rental shop and our team of equipment experts will set you up with the latest gear that will allow you to enjoy the mountain to its fullest. Our family-friendly resort has ski and snowboard lessons for beginners at any age. Only been once or twice and want to receive some helpful instruction to progress to the next level? Baldy Mountain Resort offers kids, youth and adult ski lessons and snowboarding lessons for all ability levels. Experience all that Oliver and Osoyoos, Okanagan, BC, have to offer when you SKI + STAY at a hotel or in a B&B near Baldy Mountain Resort. Our accommodation packages have everything to fit your needs; whether you’re planning a family vacation, a fun weekend with friends, a corporate retreat, or a romantic getaway for you and your loved one! Baldy Mountain Resort’s beautifully located lots and cabins are within walking distance to the lifts and day lodge. The ideal location provides easy access to all of the resort’s offerings such as skiing, snowboarding, snowshoeing, cross-country skiing, sledding, equipment rentals, a cafe and a bar.